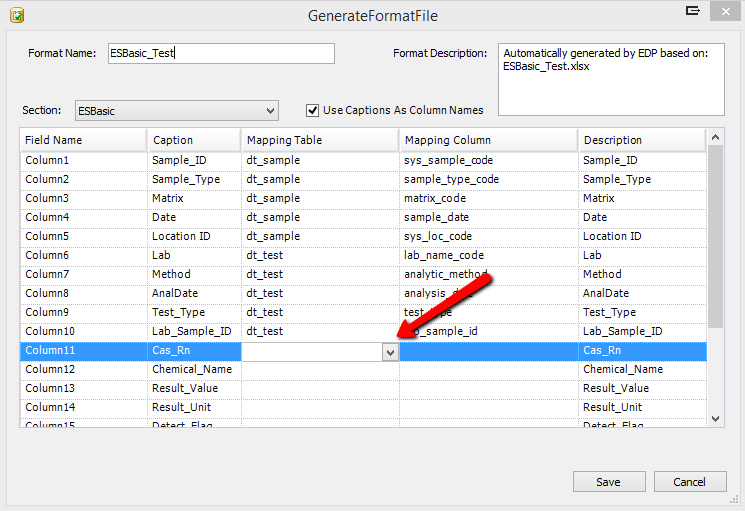 A feature has been added to improve the Generate Format File tool in EDP Professional. A format can now be generated from either an Excel (.xls, .xlsx) or Access (.mdb, .accdb) file. The form will display the layout of each table/spreadsheet from the file and will allow the column names to be changed. The form will also allow a database mapping to be specified for each column. When a mapping is specified, the format column data type and length will be set to match the database column data type and length. If a mapping references a reference table (RT_) then a lookup will be added to the format column using the reference table.